Ruth's delicious bars are full of hemp seed, to provide lots of protein and essential fatty acids! These bars are an excellent mid-point between the typical all-natural bar which is usually low-protein, and the typical energy bar, which is often high protein, but usually not natural. Ruth's Hemp Bars provide about 5 grams of protein in an all natural bar to give you the energy boost you need. 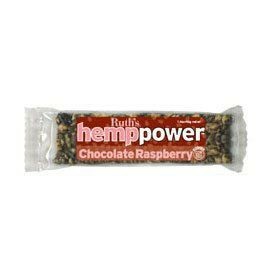 Ingredients: Sesame seeds, whole and ground flax seed, rice syrup, brown rice, black currant, agave syrup, almond, cranberry, hemp protein powder, raspberry, natural flavor. Ruth's delicious bars are full of hemp seed, to provide lots of protein and essential fatty acids! These bars are an excellent mid-point between the typical all-natural bar which is usually low-protein, and the typical energy bar, which is often high protein, but usually not natural. 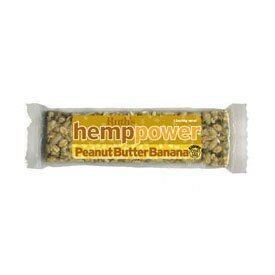 Ruth's Hemp Bars provide about 5 grams of protein in an all natural bar to give you the energy boost you need. Ingredients: Ingredients: Toasted hemp seeds, raisins, peanuts, carob, honey, organic brown rice, cocoa powder, molasses.